The laws on child support have evolved. The laws on custody have evolved as well. But the laws on unmarried parents and custody look very much like they did years ago. This is significant in Arizona, since some 45 percent of all births in the state are to unwed mothers. When a married couple splits up, each has clear rights to spend time with the minor children, and often courts grant joint legal and physical custody. When an unmarried couple splits up, the law acknowledges the role of the mother, but doesn't give the father many rights unless and until he's proved that he is the father. Custody (parental rights to a child) is one of the most difficult issues a divorcing couple must face. Most parents welcome the arrival of their offspring while the couple is together, but sharing the management and care of minor children when a couple divorces or separates is never easy. The parents must compromise on what they want in terms of parenting time with the kids as well as when making the major decisions in the children's lives like where they will go to school, whether they will attend church and where they will get health care. In Arizona, these issues used to be called legal custody, physical custody and visitation. Today, they are called legal decision-making and parenting time. Often in Arizona, parents share legal decision-making. This means that both get a vote in the major decisions about raising the children. Parents must also work out a parenting plan that determines the amount of time each can spend with the child. It determines where the child will stay during each weekday and on weekends, holidays and school breaks, too. Arizona does not mandate parenting time and legal decision making orders. A married couple who wishes to can separate and still raise the children without any court orders. In that case, the courts presume that the parents share 50/50 in both making legal decisions for their children as well as time with the children. To some extent, the same custody rights in Arizona that apply to married couples in divorces also apply when unmarried couples separate. However, state law puts a barrier in the way of the rights of unwed fathers to parenting time and legal-decision making. This barrier is called establishing paternity. 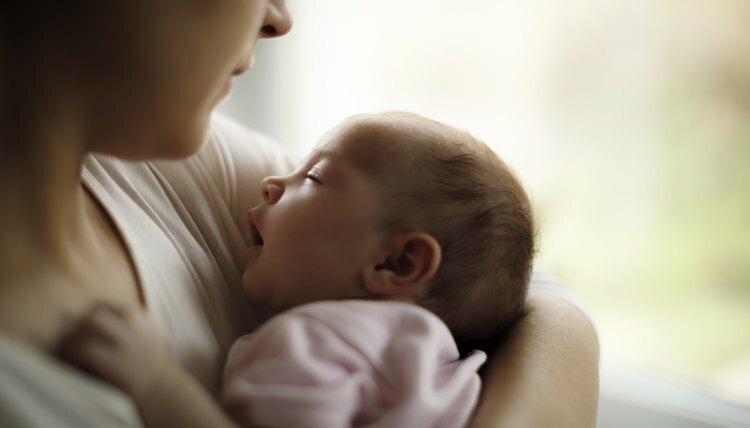 Under Arizona state law, when a child is born "out of wedlock," the mother is the legal custodian of the child unless and until paternity is established and the court addresses custody or access issues. This means that the minute a child is born to an unwed mother, she immediately has full and sole custody, basically 100 percent of the legal decision-making and the parenting time, without having to even set foot in a courthouse. She can make all important decisions without consulting the father, and can even seek child support from him without obtaining a custody order for the child. The father can only challenge this presumptive custody by a paternity action or court action for custody. However, certain actions taken by the unwed parents can alter this. Arizona law recognizes a presumption of paternity that arises after certain actions. Alternatively, the law also recognizes paternity determinations by the court. If both parents sign the birth certificate of the child born to the unwed mother, Arizona law establishes a presumption of paternity. Likewise, if both parents voluntarily sign a written and notarized or witnessed statement acknowledging the father's paternity, the presumption is established. The law also creates a presumption of paternity when a DNA test is taken and, according to the results, there is a 95-percent or greater likelihood that the man is the father. If the man marries the child's mother, he is presumed to be the legal father of the child. The presumption comes into effect if he is married to the child's mother at any point from 10 months before the child's birth through 10 months after the child's birth. Finally, the courts presume paternity if the mother and father agree to paternity and appear in court on a child support or parenting time matter. The other way an unwed father can establish paternity is by getting a court-ordered paternity test. Either the unmarried mother or the presumed father can ask for a paternity test. Likewise, the child's guardian, a public welfare official or agency, or the state of Arizona can request one. Paternity testing compares the DNA of the child and the father. The family court can use the DNA results to make its legal decision-making ruling and to determine custody rights in Arizona. If some party other than the presumed father demands paternity testing, the father is obliged to appear in court for DNA testing. If he declines to appear or refuses to take the DNA test, the court can presume paternity. Once an unwed father has established paternity, he is entitled to the same parental access to the child as a divorced or divorcing father who had been married to the mother. That means that he can go into court to ask for parenting time and also to share decision-making for the children with the mother. Just like with a divorced father, an unmarried father who has established paternity may not get the parenting time he would like. An unwed mother can gain sole physical and legal custody of the child if the court decides that the father is not a fit parent. This can happen if there is evidence that he is a habitual drug user or an alcoholic. A court might also give the mother sole custody if the father has a history of domestic abuse or has neglected the child or other children. If a father has refused involvement with the child for many years and failed to make child support payments, this also militates against the father getting significant parenting time from the court if the mother objects. Whenever an issue has been raised as to the stability of one parent, the court may grant primary custody to the other parent. Sometimes, the Arizona judge orders an investigation, or requests that Child and Family Support Services make an investigation and report back to the court. And even today, the court tends to award a mother primary custody of very young children on the theory that they do best in one home rather than splitting time between homes. As they grow older, the parenting time can change. As far as child support goes, the same rules apply to unwed parents as to divorced or separated parents, as long as paternity has been established. Both the mother and the father must provide financial support to each of their children. And courts insist that each parent offer financial support to the child based on the Arizona Child Support Guidelines or else under the terms of a written agreement made between the parents. The courts use a Child Support Worksheet to help figure out the amount of child support each parent provides. They compare this to the required amount and then make the determination as to which parent must pay the other and how much. Spengler, Teo. "Child Custody Laws on Unmarried Parents in Arizona." , https://legalbeagle.com/7747129-child-laws-unmarried-parents-arizona.html. 17 October 2018.